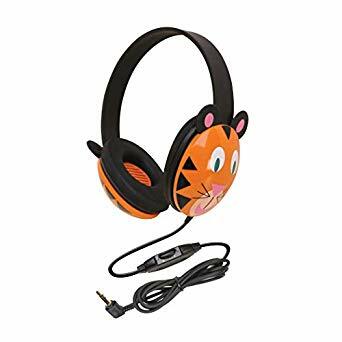 This fun shaped headphone is perfect for little listeners. Lightweight and comfortable with an adjustable headband. In-line volume control. 6 ft. cord with 3.5mm plug. Headphones are made of durable ABS plastic.